This anthology series hosts a variety of actors, plots and settings, but its attractive peculiarity and intriguing mystery remain constant throughout every episode. 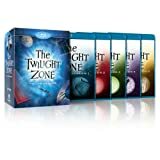 Often categorized under the genre of science fiction, The Twilight Zone helps viewers use their imaginations and allows them to explore questions regarding the supernatural, morality and what it means to be human. 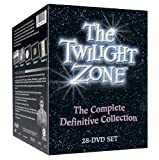 From spaceships and genies to psychoanalysts and magical getaways, the show usually includes a host of unique characters and a bizarre storyline with an underlying philosophical message. In the end of many episodes, wrongdoers face consequences while justice is served.